This historic instrument was originally built for London's Inventions Exhibition of 1885, and was subsequently displayed at the Liverpool Exhibition of the following year. The aim of the builders in this their Model Organ was "an attempt to place in the hands of the player a grand and complete organ, reduced to the smallest possible dimensions as regards the number of stops". 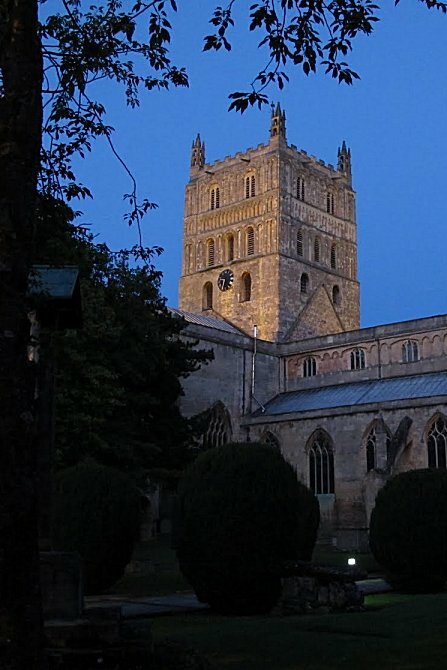 In 1887, it was purchased by Revd C W Grove for the sum of £800 and presented to Tewkesbury Abbey in commemoration of the Golden Jubilee of Queen Victoria. Unfortunately, as it lacks casework, it soon became affected by dust & dirt and was not played regularly. 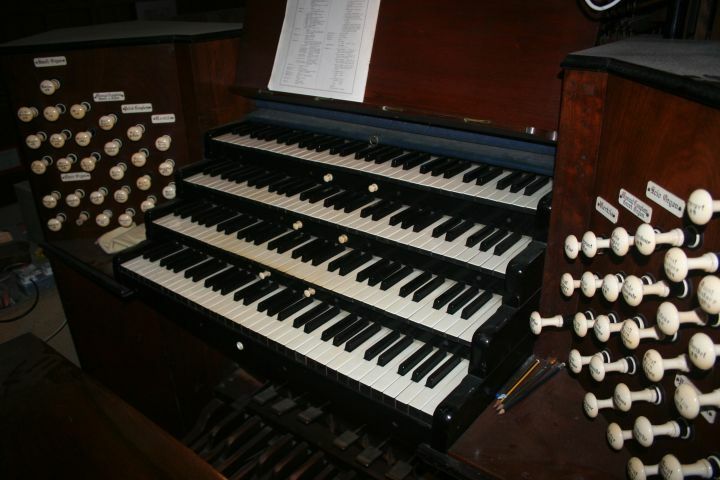 When the Abbey's other (Milton) organ was rebuilt in 1948, it was planned also to restore and enlarge the Grove organ, making it playable from the former's console. But this scheme was not carried out, and eventually the organ was restored in 1980-81 by Bishop & Son on 'conservation' lines. 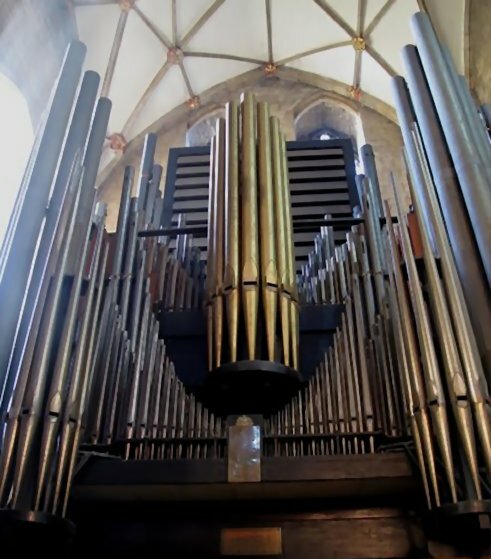 The only modification has been the addition of the five largest 32ft pdeal pipes acquired from the old Willis organ of Christ Church Catehdral, Oxford. The re-opening recital was given by Dr Francis Jackson.